New season means new perspective and changes with new aromas, scents and sights. Crisp mornings have greeted me as my shoes hit the pavement at 7am. My eyes sit, eager, to see the shift in the leaves. What will this season look like? So far, my nights have looked like time on the back patio with twinkle lights and lawn chairs. As I sit on the patio with my bare feet pressed against the wood posts, I am taken back to Colorado in 56 degree weather mid-August, awaiting the duties that have now met me here in College Station. When I look out across my backyard in October to a field of green with cars screeching and music buzzing and faint murmurs, I am picturing a blue lake with crisp air, swaying aspens and singing of hummingbirds in Colorado. The seasons are shifting and changing, beyond the weather. My time this fall have been full. There have been engagements, deaths, midterms, job decisions and creative accomplishments all in a course of a couple of weeks. These things are filled with love and joy and wisdom and hope. Last week, I was talking to a friend of mine. We were sitting upstairs on the balcony, watching mopeds zoom by and friends take an evening stroll. Friend and I partook in a conversation that will forever itch an image inside of my head. This friend is a person who can paint a picture when she talks. She begins to tell me this story of how she has been feeling this semester that could not have put better words to how I feel as well. Guilty. I have been running, indulging but not savoring. My intentions are pure and I bet I do a better job than I give myself credit for. I really do try to breathe a little deeper to allow my heart to slow and my eyes to capture what is in front of me. But on my worst day, I tend to forget to savor. On my worst day, I am on my own control running around with different tasks at hand. This summer, I took a week to myself in Colorado. During this time, I turned my gaze from the buzz of my phone and to the motion of the trees and sweet words in a novel. I finished an entire book, dreamed of creating a conference and of writing a book. I was able to be honest with myself. I allowed myself to S I T. To listen to stories that led to laughter that led to tears. I have never felt so full. Yet this pace of reaching the fullness was not nearly as fast as what I am experiencing now. When I sat on the patio one night in Colorado with a magazine at hand, my little toes felt the coldness of the wind. 3 months later I am sitting on my patio, laptop at hand and my little toes feel the coldness of the wind. Here, several months later, I am experiencing the same God and same Sabbath. So I think, being full is not about the pace. It is possible to be full in the slower seasons of life? Because slowing down will allow me to harvest. 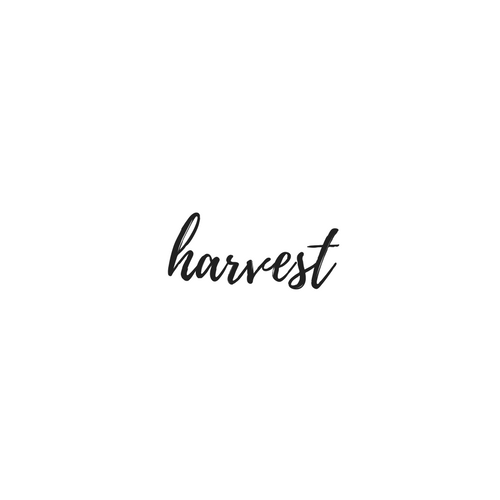 My favorite definition of harvest is: collect or obtain (a resource) for future use. I want to remember this season and remember the harvest that is cultivation and reaping. This autumn, I want to harvest friendships. I want to harvest time with people and allow my breath to inhale deeper and exhale slower. That is what this season will be. I dare you to the same.